|By Arabian Post Staff| Emirates Group reported a 67 percent jump in net profits to $1.1 (Dh4.1 billion) billion in 2017-18 financial year ending March 31, 2018 compared to the previous year, with revenues reaching $27.9 billion (Dh102.4 billion), crossing the Dh100 billion mark for the first time in the history of the 32 year old airline group that includes Emirates Airline and its ground handling and ticketing arm, Dnata. 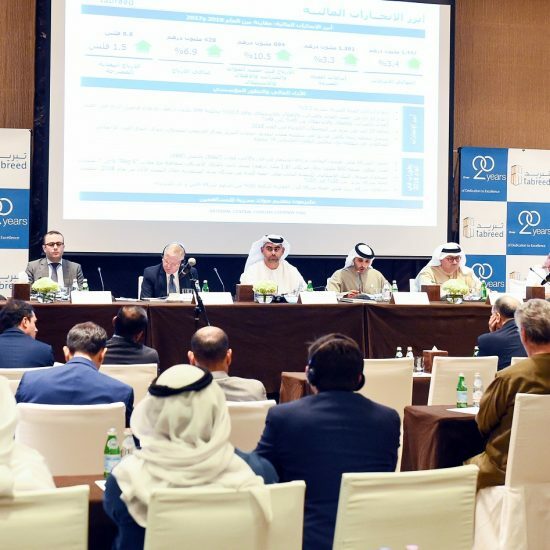 The group improved cash balance of US$ 6.9 billion (Dh25.4 billion) as it declared a dividend of $545 million (Dh2 billion) to the its shareholder, Investment Corporation of Dubai. 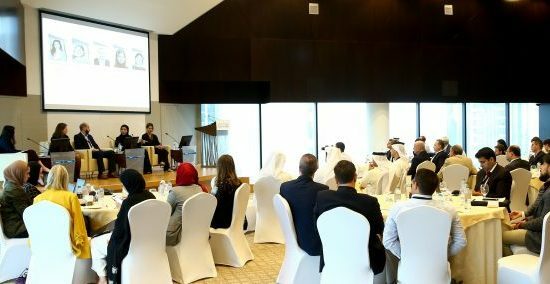 His Highness Sheikh Ahmed bin Saeed Al Maktoum, Chairman and Chief Executive, Emirates Airline and Group, said: “Business conditions in 2017-18, while improved, remained tough. We saw ongoing political instability, currency volatility and devaluations in Africa, rising oil prices which drove our costs up, and downward pressure on margins from relentless competition. On the positive side, we benefitted from a healthy recovery in the global air cargo industry, as well as the relative strengthening of key currencies against the US dollar. In 2017-18, the Group collectively invested Dh9.0 billion ($2.5 billion) in new aircraft and equipment, the acquisition of companies, modern facilities, the latest technologies, and staff initiatives. Emirates announced two significant commitments for new aircraft during the year: a $15.1 billion agreement for 40 Boeing 787-10 Dreamliners which will be delivered from 2022, and a $16 billion agreement for 36 additional A380 aircraft, including 16 options. During the year, Emirates launched two new passenger destinations: Phnom Penh (Cambodia) and Zagreb (Croatia). It also added flight capacity to 15 existing destinations, offering customers more choice of flight timings and onward connections. Emirates also grew its global connectivity and customer proposition through strategic partnerships. During 2017-18, Emirates entered into significant partnerships with flydubai and Cargolux, expanding the choice of air services on offer to passenger and cargo customers respectively. Emirates also received authorisation to extend its partnership with Qantas until 2023. In spite of political challenges impacting traveller demand and fare adjustments due to a highly competitive business environment, Emirates managed to increase its revenue to Dh92.3 billion (US$ 25.2 billion). The decline of the US dollar against currencies in most of Emirates’ key markets for the first time in a number of years had an AED 661 million (US$ 180 million) positive impact to the airline’s bottom line. The airline successfully managed strong competitive pressure across all markets and increased its profit to AED 2.8 billion (US$ 762 million), an increase of 124% over last year’s results, and a profit margin of 3.0%. Overall passenger traffic growth continues to demonstrate the consumer desire to fly on Emirates’ state-of-the-art aircraft, and via efficient routings through its Dubai hub. To fund its fleet growth during the year with high ongoing new aircraft deliveries, Emirates raised Dh17.9 billion (US$ 4.9 billion), using a variety of financing structures, including the successful execution of a US$600 million sukuk in March to fund the acquisition of two A380 aircraft to be delivered in 2018. Emirates continues to tap the Japanese structured finance market in conjunction with debt from a wide-ranging group of institutions in China, France, the United Kingdom, and Japan. The company raised in excess of Dh3.7 billion ($1 billion) during the year from this source. Emirates has also refinanced a commercial bridge facility (due to non-availability of ECA cover) of Dh3.8 billion (US$ 1.0 billion) via an innovative finance lease structure for five A380-800 aircraft, accessing an institutional investor and bank market base from Korea, Germany, the United Kingdom and the Middle East. Emirates closed the financial year with a healthy and increased level of Dh20.4 billion ($5.6 billion) of cash assets. Revenue generated from across Emirates’ six regions continues to be well balanced, with no region contributing more than 30% of overall revenues. Europe was the highest revenue contributing region with Dh26.7 billion ($7.3 billion), up 12% from 2016-17. East Asia and Australasia follows closely with Dh25.4 billion ($6.9 billion), up 12%. The Americas region recorded revenue growth at Dh13.4 billion ($3.7 billion), up 7%. Gulf and Middle East revenue decreased by 2% to Dh8.5 billion (US$ 2.3 billion) whereas revenue for Africa increased by 8% to Dh9.4 billion ($2.6 billion). West Asia and Indian Ocean revenue increased by 5% to Dh7.8 billion ($ 2.1 billion). Through the year, Emirates introduced product and service improvements on board and on the ground. Key highlights include: the launch of fully-enclosed suites in First Class together with refreshed Business Class and Economy Class cabins on the 777-300ER aircraft; new, wider Business Class seats arranged in a 2-2-2 layout on the 777-200LR aircraft; and a refreshed version of the popular Onboard Lounge on the Emirates A380. On the ground, Emirates added a new dedicated lounge in Boston for its premium passengers and frequent flyers; refurbished existing lounges in Singapore and Bangkok, and completed a US$ 11 million makeover of its lounges in Dubai airport Concourse B. Emirates also invested in new channels and technology to offer even better and more personalised customer experiences online, on mobile, as well as via its retail and contact centres. Emirates’ hotels recorded revenue of Dh746 million ($203 million), a moderate increase of 1% over last year in a highly competitive market mainly in the UAE. In its 59 years of operation, 2017-18 has been dnata’s most profitable year, crossing Dh1.3 billion ($359 million) profit for the first time. Building on its strong results in the previous year, dnata’s revenue grew to Dh13.1 billion ($3.6 billion), up 7%. dnata’s international business now accounts for 68% of its revenue. The strong performance was achieved through organic growth with key contract wins coupled with solid customer retention across its four business divisions, as well as the impact of acquisitions from previous year. dnata continued to lay the foundations for future growth by investing Dh600 million in new facilities and equipment, acquisitions, leading-edge technologies and people development. In 2017-18, dnata’s operating costs increased accordingly by 8% to Dh11.9 billion (US$ 3.2 billion), reflecting the impact of organic growth across all lines of business coupled with integrating the newly acquired companies mainly across its international airport operations. dnata’s cash balance reached Dh4.9 billion ($1.3 billion), a new record high. The business delivered an Dh1.9 billion (US$ 506 million) cash flow from operating activities in 2017-18, which is also a new record in line with the enhanced cash balance. Revenue from Dnata’s UAE Airport Operations, including ground and cargo handling increased by 4% to reach Dh3.2 billion (US$ 859 million). Dnata’s International Airport Operations division grew revenue by 14% to Dh3.8 billion ($1.0 billion), on account of increasing business volumes, opening of new locations and winning new contracts. International airport operations continue to represent the largest business segment in dnata by revenue contribution. The number of aircraft handled by the division further increased substantially by 10% to 449,000, and Cargo noted a substantial growth of 10% to 2.4 million tonnes of handled goods. dnata continued to win over customers with its high quality standards, inking over 90 contracts with new and existing customers during the year. dnata’s Catering business accounted for Dh2.1 billion ($585 million) of its total revenue, up 7%. The inflight catering business uplifted more than 55 million meals to airline customers. Revenue from dnata’s Travel Services division has seen a turnaround after last year’s decline with an increase of 8% to Dh3.4 billion ($922 million). The underlying total transaction value (TTV) of travel services sold increased by 6% to Dh11.3 billion ($ 3.1 billion).